There's something you need to know about me. I NEVER make impulse buys. I like to think on certain purchases for quite awhile before I hesitantly hand over my debit card. Even today, I told Hubster that I didn't appreciate being bullied into going out to eat. He said, "That's the only way I can even get you to go out." And he had to give me the weekend to contemplate changing internet/cable providers. I just like to weigh the importance of things and make sure I'm not making rash decisions. So, remember when I told you Hubster and I had a laugh about how he'd be through his Christmas money before New Year's, and I'd have mine gone by June? Well, close... Mine was gone in August. Ha! But the wait was sooo worth it. 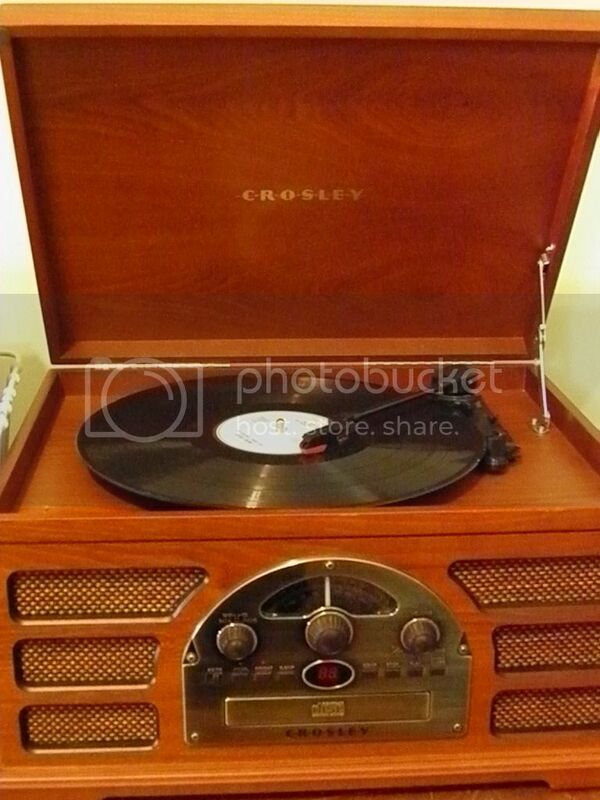 Meet my new favorite "gadget," my 3-in-one Crosley CD player/record player/radio. 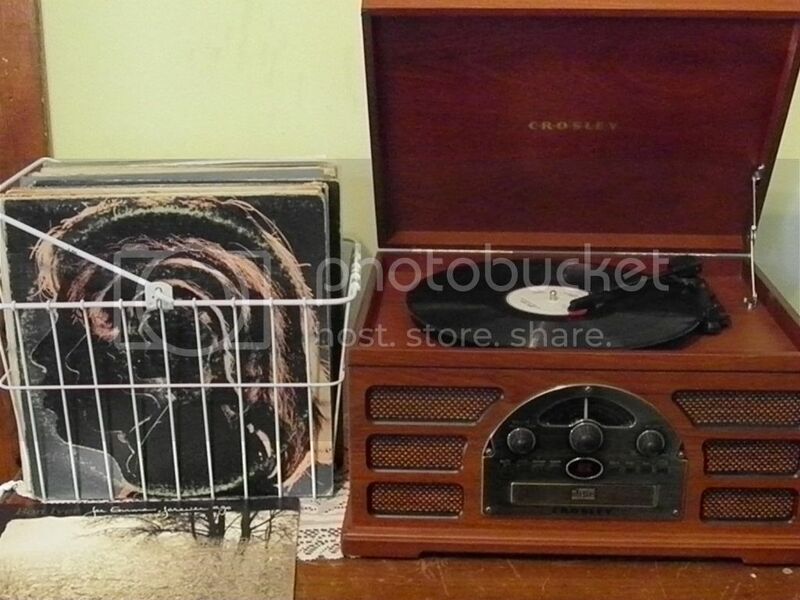 I've been wanting a record player for years. I had a thrifted one in college, but a friend "borrowed" it for forever and returned it in "not working" condition. Forgive, forget, buy a new one. A beautiful one that totally goes with the antique chest it's displayed on. Peanut and Hubster even got a little involved. Hubster chose a few Dean Martin and Christmas records at a rummage sale and Peanut dances to Rolling Stones with me. 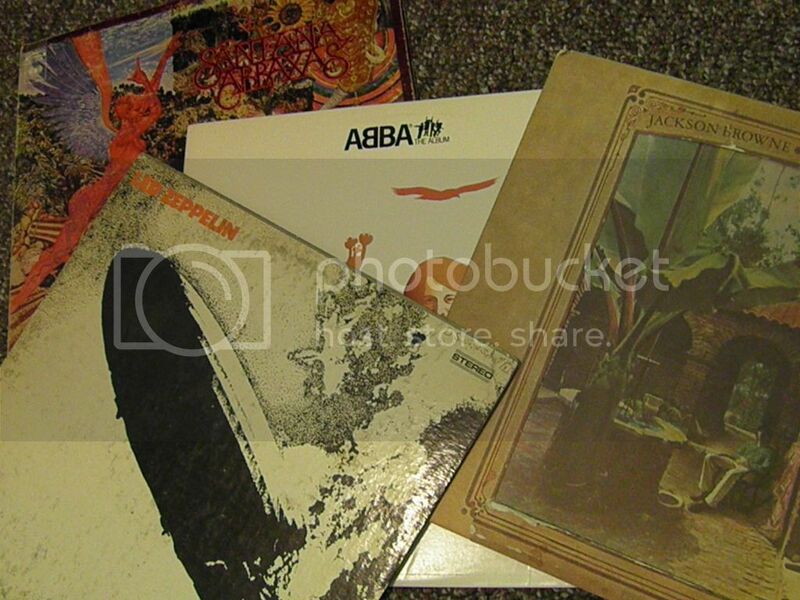 Oh, stash of dust-collecting vinyls, how I've missed you. My other "Christmas" in August purchases? A Bon Iver record, Feist CD, Noah and the Whale CD, Exercise and Nutrition textbook (geek alert), pretty washi tape, and my very own copy of Born to Run. Could this get any better? Do you still get "Christmas money?" And what do you usually buy with it? This is the only time I allow myself to buy superfluously. Of course there are always things around the house that take precedence, but special money doesn't count, right?